GWR 43xx series 2‑6‑0 No. 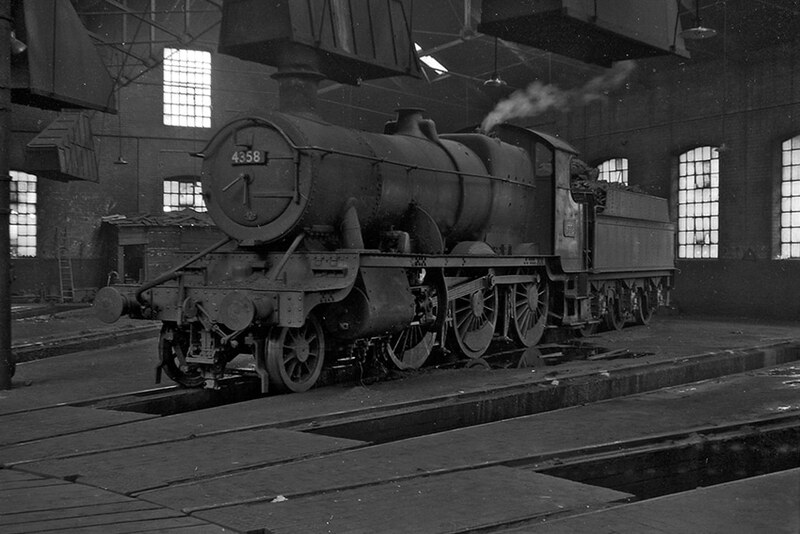 4358, of 85B Gloucester (Horton Road), at rest in steam inside an unidentified roundhouse (Gloucester – Barnwood – possibly!) in the 1950’s. GWR 53xx series 2‑6‑0 No. 5336, from 83B Taunton, minus front numberplate, lifts its safety valves at Barnstaple Junction with a local passenger to Taunton on 22nd June 1964. 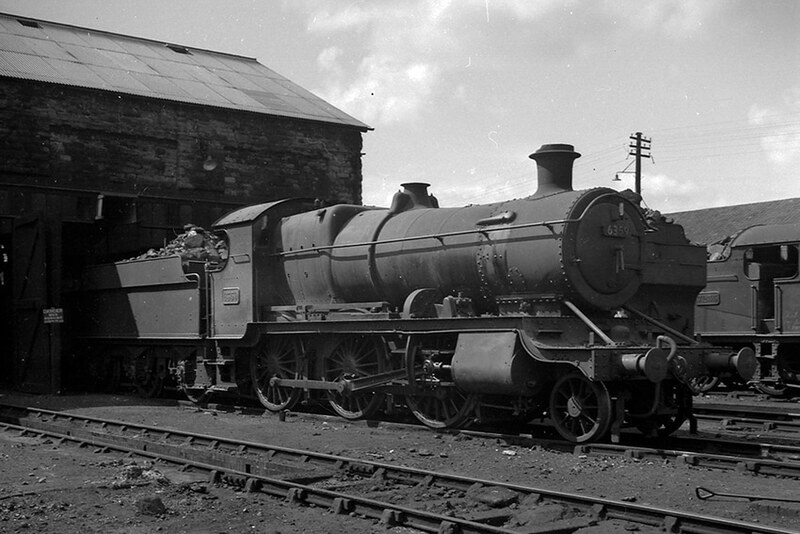 GWR 63xx series 2‑6‑0 No. 6359 poses in bright sunshine outside the running shed of its home base at 85C Hereford in the 1950’s. Photograph by Glyn Burton (A.Wakefield collection). 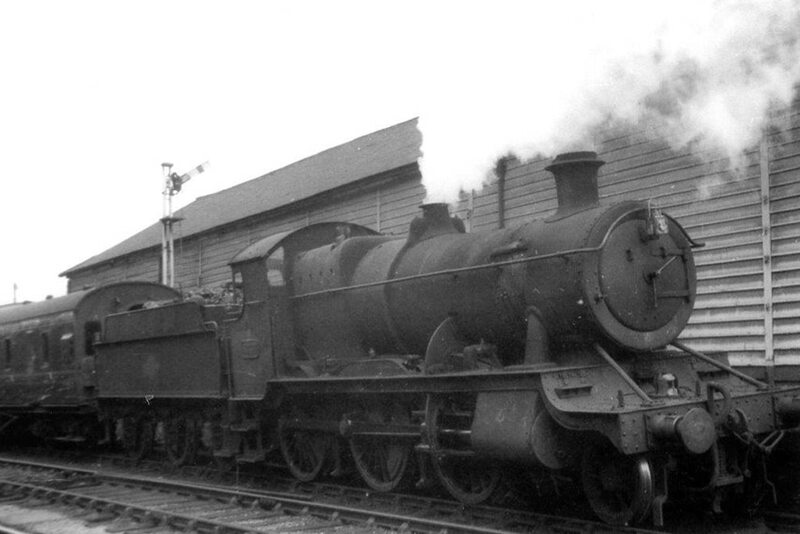 GWR 73xx series 2‑6‑0 No. 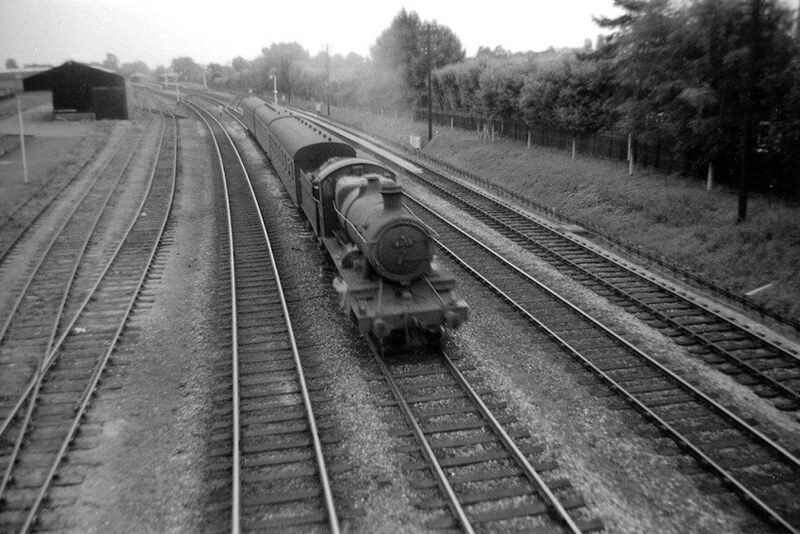 7321, from far off 87F Llanelly, passes Solihull station with a semi‑fast passenger from Oxford to Birmingham (Snow Hill) on 1st September 1962. Solihull is still open today but all that remains of this scene are two running lines. 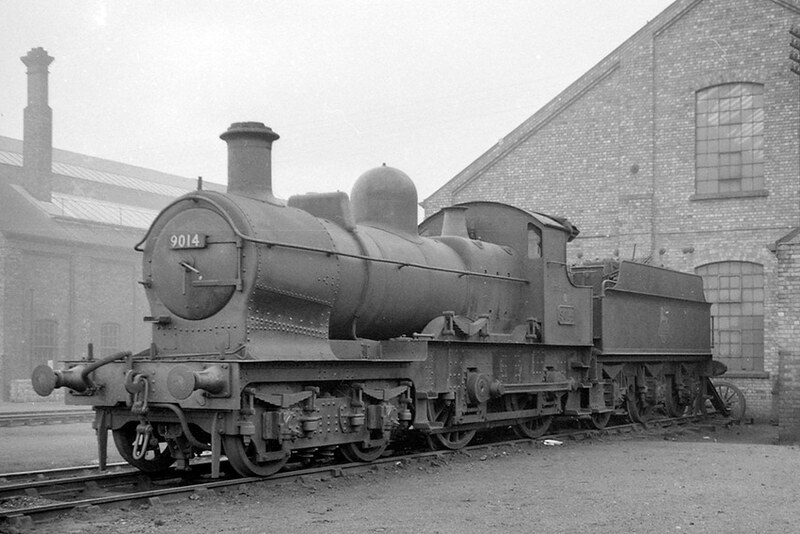 GWR ‘Dukedog’ 4‑4‑0 No. 9014 stands outside Wolverhampton Stafford Road Works in the 1950's. Correct location courtesy of Andrew Dyke (18.10.16). Author’s Note: Discrepancies between the monthly withdrawal dates as published in the 1986 reprint of WHTS Volume Fourteen and the updated versions online are negligible. I hope this streamlining will add to the enjoyment of the existing chronological sequence of events appertaining to What Happened to Steam – Volume Fourteen. To add to the interest of enthusiasts of former GWR steam locomotives, last recorded Heavy General Overhauls and Total Mileages (as at 28.12.63 or upon withdrawal) – where records are available – has been incorporated in WHTS Volume Fourteen.